Chad graduated from the University of Mississippi law school and also has a bachelor's degree in political science. His practice area of public utility law requires background knowledge in accounting, economics, finance and engineering disciplines. His duties as General Counsel require expertise in other areas of the law such business law, contract review and legal research and writing for various legal matters. 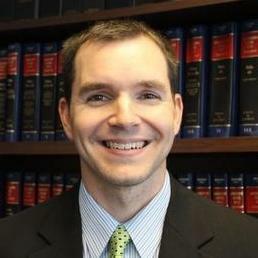 Chad's prior experience includes 5 years as a Senior Attorney before being promoted to General Counsel. He was recognized by the MS Business Journal as as one of the Top 50 Leaders in Law, Class of 2012. Chad lives in Brandon, MS… read more with his wife and two daughters. "Chad provided advice as to the trademark application process. I had a ton of questions and Chad approached spent time answering the questions in an understandable manner. It is clear that he has a teacher's heart and desired for us to understand the legal concepts in order for me to make well-informed decisions." Manage the legal department of the Staff. Legal duties include performing legal research and advisory services to the Staff and Public Service Commission. Prepare cases for hearing such as drafting of pleadings, attending prehearing conferences and potential settlement of matters and examination of witnesses. Draft and edit proposed orders for the Commission's consideration. Legal duties include performing legal research and advisory services to the Staff and Public Service Commission. Prepare cases for hearing such as drafting of pleadings, attending prehearing conferences and potential settlement of matters and examination of witnesses. Draft and edit proposed orders for the Commission's consideration.